Every year, we visit Natural Products Expo West, a fun behind-the-scenes look at all the amazing food and beverage products that are headed our way. Here are six standouts that grabbed our attention (and taste buds) for 2016! 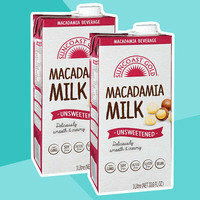 If you thought almond milk and cashew milk were creamy, just wait until you get a taste of macadamia nut milk! 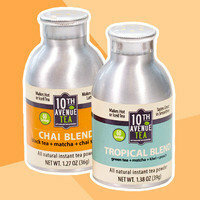 This stuff is rich and flavorful without being overly nutty... Perfect for recipes, coffee drinks, cereal bowls, and more. Click here to see if it's sold near you, or just order via the friendly folks at Amazon. And coming soon, keep an eye out for the lineup by Royal Hawaiian Orchards -- there's an unsweetened vanilla version on the way with only 35 calories per cup! 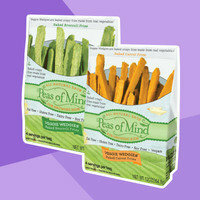 The name of the line doesn't do the products justice: These are freezer-aisle French fries made from fruit and veggies! Baked not fried, they couldn't be more up our alley if they tried. They come in Broccoli, Carrot, Cauliflower, and Apple, and the stats can't be beat. Click to locate. Can't find 'em? Whip up some HG fruit 'n veggie fries! 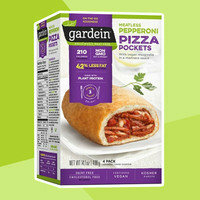 We're thrilled to have a truly delicious swap to satisfy our cravings for old-school Hot Pockets... Gardein does not disappoint! This vegan-friendly pocket sandwich is crammed with meatless pepperoni, dairy-free mozzarella, and yummy tomato sauce. Find it in the freezer aisle at Shoprite, Meijer, Stop & Shop, and other supermarkets across the country… It'll be available nationwide at Walmart by the end of next month. P.S. We also sampled the coming-soon breakfast version... YUM! We love snacking on fresh jicama -- it's perfectly crisp with a slightly sweet taste -- but we're no stranger to needing crunchy CHIPS on occasion. 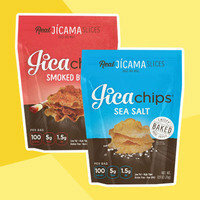 Jicachips to the rescue! In fun flavors like Smoked BBQ and Cinnamon Sugar, the nutritional stats are much better than many of the veggie chips on the market, and they have five times as much fiber as potato chips. They're currently only available in select NYC stores, but you can order online! 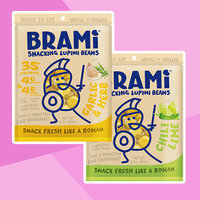 These beans aren't dried and crunchy like some other snacks out there; they're fresh and tender! Lupini beans have a soft shell that can be eaten (like sugar snap peas) or easily discarded (a la edamame). And just look at how much fiber and protein you get for only 35 calories. These treats come in yummy flavors, too: Garlic & Herb, Chili Lime, and more. They’re currently only sold in New York, but anyone can order online. Your pals NEED to know about all these new finds -- click "Send to a Friend" ASAP!